Mushroom Kingdom Shooter is a fangame by Friendly Dictator. It was his second submitted game, and wasn't very good. 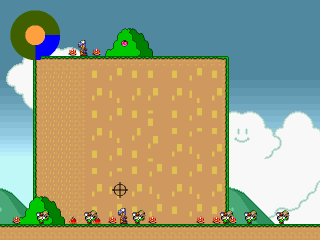 In it, the player clicks on enemies to shoot them through different levels, based on different Mario games. It currently has an average review score of 1.5 on the Main Site. This page was last edited on 27 July 2015, at 21:34.